We don’t like grocery shopping. None of us do. In fact, many of you might just agree that life would be so much easier if there was no grocery shopping. It gets crazier during the Holidays. Hunting deals and discounts, handling the mad-mob of last minute grocery shoppers, bracing yourself for ransacked shelves and going through the trauma of coming home tired just to start cooking. Here are some tips that will help you become a savvy (grocery) shopper. Okay, we admit, this you already know. You must’ve read it a zillion times. But still, it needs to be told again. Inventory list is like the holy grail of maintaining your grocery. If you’ve not done this before, you should start with cleaning up your grocery shelf. Clear out old and expired stuff. Make a list of things you have. then when you order new items or use up from the list you have, you can add or strike out the items, depending on whether it was added or used. This will help cut down on wastage because we tend to order extra not knowing it is already there, and it will also help with keeping sanity during Holidays, when you are busy with so much around that grocery mostly takes a backseat (unless there’s a gettogether or dinner to be hosted). If you want to avoid the crowds, it would be a good idea to shop when it’s raining. Weekend afternoons and weekday evenings should be avoided altogether. Weekend evenings can also be a good idea, but probably you might have your own plans too. Most supermarkets and sellers label their own meat, which means they might, or might not have a standard procedure for expiration dates. If a certain item looks good but the expiration date has passed, they relabel it pushing the expiration date further. Unfortunately there is no federal law for it as well. So every time you buy fresh food or meat, check the quality of the piece and not just the expiration date. When you are buying tuna, you might not really be picking up tuna but a close resembling cheaper fish at the cost of tuna. Check the piece thoroughly before buying. 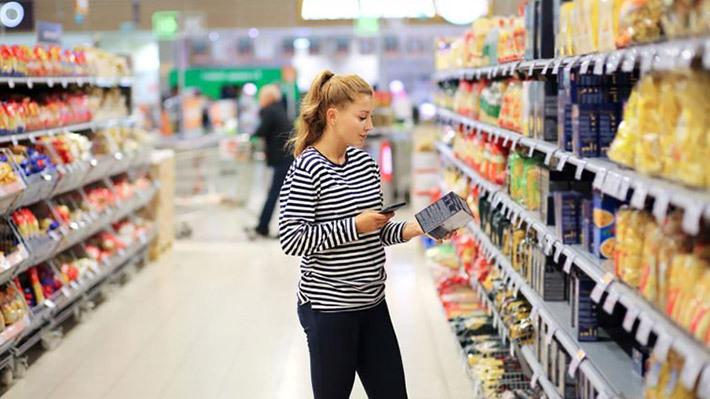 Generic food items or store brands are a good way to save money. If you opt for boutique brands you might not get the highest quality but you’ll definitely end up paying a higher price. You must shake water off your veggies before you buy. Water doesn’t necessarily keep veggies fresh, it just makes them look fresh and it adds to the weight. When you are buying cooked chicken from a grocery store, you need to keep in mind that it’s the unsold inventory that they’ve cooked for avoiding wastage. This doesn’t mean it’s spoilt, but it’s not the freshest, that for sure. Grocery stores mostly have the most expensive things kept at eye level. Look on the shelves below and above to make a fair comparison of quality and price. Eat local and seasonal food. Exotic food can go through processing, deep freeze, transportation and so much more, which not only makes the food expensive but also kills most nutrition in food.